Pastor Elizabeth is a native of Reading, Pennsylvania. She graduated from Kutztown University and the Lutheran Theological Seminary in Philadelphia. 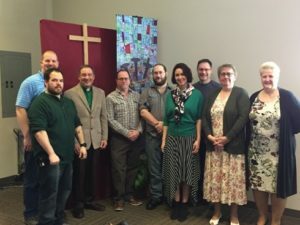 She has pastored congregations in Easton, PA, Macungie, PA and served on the Northeastern Pennsylvania Synod staff, specializing in youth ministry. She and her husband, Barry, came to Emmanuelsville in 1989. They are parents of two sons, two terrific daughters-in-law and two granddaughters. She loves traveling, singing, old movies and walking. Pastor Barry is a native of Honesdale, Pennsylvania. He graduated from Mansfield University and the Lutheran Theological Seminary at Philadelphia. He served one other congregation in Bowers, PA before coming to Emmanuel’s in 1989. Pastor Barry’s varied careers and interests include time as a radio disk jockey, photographer and tennis pro. In addition to spending time with his wife and sons and grandaughters, he is hacking his way across golf courses, traveling, walking and reading. college and Fairleigh Dickinson University in Madison NJ and has degrees in Biology and Medical Technology. She relocated to the Lehigh Valley in 1986 and spent 20 years working in various healthcare settings, the last 17 years working as a formulations specialist for a local medical device manufacturer. She has been married to her husband Dave for 20 years and moved to Moore Township in 2001, and have been members of Emmanuel’s for 15 years. We do not have any human children but are “parents” to three furbabies (cats): Daphne, Hamish and Cordelia (who is blind). They keep us busy and their antics never fail to leave us shaking our heads. In my spare time I love to read, garden, cook and do DYI projects. Beth McElroy is a native to the Poconos and graduate of Stroudsburg High School. Since beginning piano lessons at age 3, music became her first language and lifelong passion. She grew up in church choirs and handbell choirs at Christ Hamilton United Lutheran Church and went on to pursue a degree in Percussion Performance at Ithaca College, where she co-founded their first handbell choir. 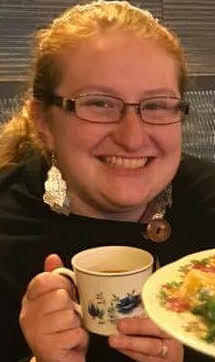 Since moving to the Lehigh Valley in 2010 she has been teaching private lessons, directing choirs, and leading worship through music at several local churches. She also performs regularly with the Allentown Symphony, Allentown Band, PA Shakespeare Festival, Southside Sinfonietta and several other chamber groups and pit orchestras throughout the valley. Currently, Beth resides in South Whitehall with her husband, Stephen, and her cat, McGonagall. 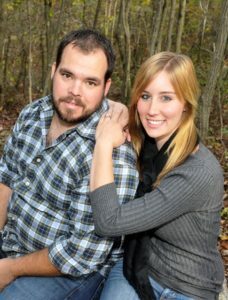 Chris and Samantha Wolf, married since 2015, are our J-Walkers Youth Group leaders. Chris is from Danielsville and Samantha is from Moore Township; both are graduates of Northampton Area High School. Chris is part of the Contemporary Worship Team and a conveyor mechanic at C&S Wholesale. Samantha is a member of Church Council and a Medication Tech at Sacred Heart. They are both avid Disney lovers and welcome a (almost) yearly trip down south to visit their favorite mouse. They have recently become parents to Taelynn Carmela, born March 2016. They currently reside in Bethlehem with their dog Jill. For our Contemporary Worship, we rely on a great number of people to enhance our worship experience. These include musicians and singers in addition our Pastors.